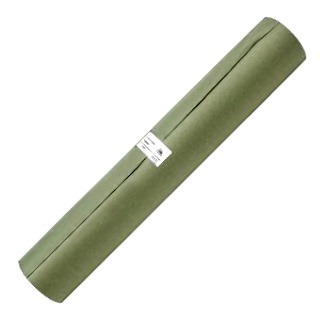 PRODUCT: Green Masking Paper, 18 inch wide X 180 Feet Rolls. Premium Green Heavy Duty Paper. 12 Rrolls/Case. Price/Case (2160 feet). DESCRIPTION: Premium heavy duty grade green masking paper. This premium Green Masking Paper is formulated for masking most water and oil based materials. The sheet gets its performance qualities from higher virgin pulp content; making the sheet less penetrable by over-spray and resistant to higher levels of moisture. Green masking handles a variety of heavy industrial applications, roofing materials and is a favorite for automotive painting shops.